Have you seen Laura speak? Leave a review. Award-winning keynote speaker and bestselling author of eight books, Laura Stack is a noted expert in employee and team productivity. She is best known by her moniker, “The Productivity Pro®.” Her engaging personality, combined with over 25 years of experience helping organizations achieve RESULTS, have made her one of the most sought-after experts and keynote speakers in her field. Funny, engaging, and full of real-life strategies that work, Laura will change mindsets and attitudes—so your team can maximize its productivity, increase market share, strengthen performance, increase sales, and get the job done right! What makes her unique? 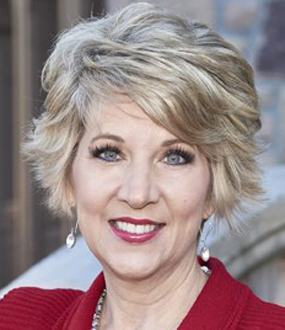 Laura is the President & CEO of The Productivity Pro, Inc., a boutique consulting firm helping leaders increase workplace performance in high-stress environments. 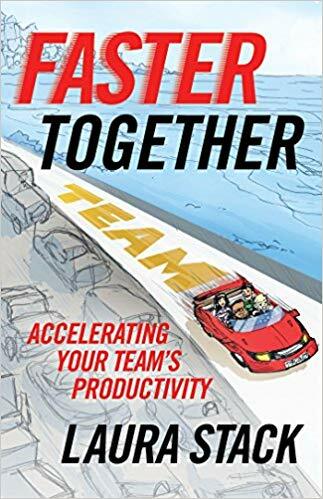 Her latest book, FASTER TOGETHER: Accelerating Your Team’s Productivity (Berrett-Koehler), hit bookstores in January 2018. 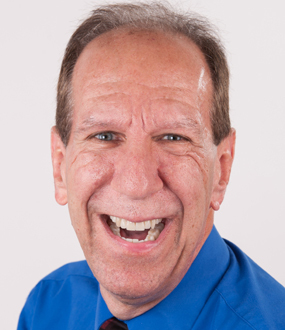 Stack is a past president of the National Speakers Association and is a member of its prestigious CPAE Speaker Hall of Fame, which has fewer than 175 members worldwide. 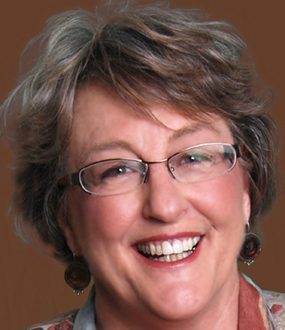 She is a high-content Certified Speaking Professional (CSP), who educates, entertains, and motivates professionals to deliver bottom-line results. Laura has been featured in the New York Times, USA Today, the Wall Street Journal, Entrepreneur, and Forbes magazine and has been a spokesperson for Microsoft, Dannon, belVita, 3M, Skillsoft, Office Depot, Day-Timer, Fellowes, and Xerox. Her client list includes top Fortune 500 companies, including Starbucks, Wal-Mart, Aramark, Bank of America, GM, Wells Fargo, and Time Warner, plus government agencies such the United States Air Force Academy, the Census Bureau, the U.S. Senate, and even the IRS. Her books have been published and translated in over 20 countries. And her audiences? Love her as much for her energy as they do the solutions she presents. On stage, Laura is a powerhouse of ideas, and more importantly, ACTION. She’s just what you need to accelerate your team’s productivity and propel your organization to all new levels! Laura’s flagship TIME MANAGEMENT keynote shows employees how to be more productive at work and achieve maximum results in minimum time. Laura reviews the top ten characteristics of productive people. Perfect for professionals who work long hours. You’ll reduce the number of hours you work each week without compromising output or sacrificing results. Laura’s LIFE BALANCE keynote offers innovative ways to blend work and family without sacrificing either. Laura offers techniques to work smarter at work and balance time across your entire life. Perfect for those trying to juggle work, family, chores, and households, and still make time for self. You’ll discover the 8 pillars of productivity that support successful lives. Laura’s PERSONAL ENERGY keynote shows you how to be productive when you can’t get off the couch. You can know all the productivity tips in the world, but nothing will work if you don’t have the energy to give 100 percent. Perfect for the pooped. You’ll learn to fight energy bandits with energy boosters and will soon be bopping around with increased vim and vigor. Laura’s HIGH PERFORMANCE keynote gives key talent proven methods to reach peak performance and achieve breakthrough results. 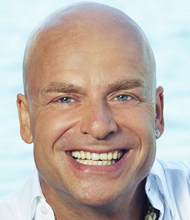 You’ll discover the six keys to unlocking your full potential. Perfect for high potentials. Laura contrasts SUPERCOMPETENT® Hero Thinking with Simply Competent Zero Thinking, so you can perform at your productive best. Laura’s EFFICIENCY keynote teaches you to invest your time and energy into what will yield the most impactful results. Laura Stack shows how to hone in on high-value tasks, protect the time to do them, focus on their execution, and organize around the stuff that really matters. Her innovative, step-by-step Productivity Workflow Formula (PWF) allows you to spend less time and achieve greater results than you ever thought possible. Laura’s EXECUTION keynote demonstrates why creating a strategy isn’t the biggest leadership challenge—it’s executing the strategy. If you know your strategy is right on, how do you get your team to nail it? Today, strategizing and execution are in fact the same process. The pressures on an organization to move quickly mirror the pressures individuals face on a personal level. In this innovative program, Stack discusses how her LEAD (Leverage, Environment, Alignment, Drive) strategy helps leaders quickly execute strategic initiatives and get great results from their teams. “You captured the hearts and souls of your audience and started our lecture series off with a major success. The enthusiasm and creativity you bring to your program are contagious. In today’s world of disruptive change, three-year strategic plans have come into question. Companies whose strategies are celebrated in January are junked by March. The concept of dividing the process of strategy and execution just doesn’t make sense anymore. In the era of the lean start-up, rapid prototyping, and agile product development, organizations must often act first and strategize later. How can leaders adapt to this world without losing their strategic minds—or worse, their shirts? 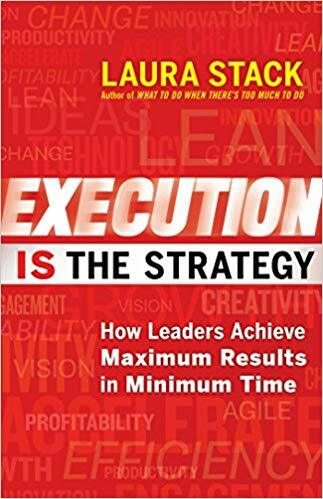 Laura Stack’s breakthrough is showing leaders how execution—think of it as organizational productivity—can drive strategy, rather than the other way around. Using her L-E-A-D Formula ™ to leverage resources, create supportive environments, align operations with strategic priorities, and drive forward quickly, leaders can work with their people to adjust strategies in real time and get things done. You may not have time for strategic planning, but you’ll learn how to build an organizational culture that’s great at strategic execution. 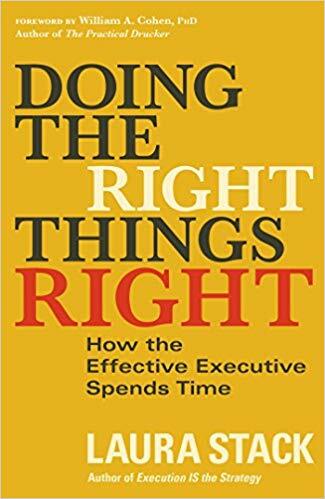 Doing the Right Things Right details precisely how today’s leaders and managers can obtain profitable, productive results by managing the intersection of two critical values: effectiveness and efficiency. Effectiveness, Stack says, is identifying and achieving the best objectives for your organization-doing the right things. Efficiency is accomplishing them with the least amount of time, effort, and cost-doing things right. If you’re not clear on both, you’re wasting your time. Stack identifies twelve practices that will enable executives to be effective and efficient, grouped into three areas where leaders spend their time, called 3T Leadership: Strategic Thinking (Business), Teamwork (Employees), and Tactics (Self). For each practice, Stack offers advice from her 25 years in the trenches, working with thousands of leaders globally. You’ll receive scores of new ideas on how you, your team, and your organization can boost productivity. With countless emails, constant communication, cascading deadlines, and seemingly endless meetings, it’s a wonder any of us gets anything done these days. You can try working harder or faster or smarter, but what really makes the difference is “teaming well.” A good team is the most powerful productivity machine in existence. These days, everyone is busy. Advances in technology mean there is more information to sort through than ever. Work hours have increased, but to-do lists are endless—schedules get blown in the first five minutes of the day. You could spend more time “planning” and “prioritizing” your list than actually doing the work! At work and in life, we all just have too much to do! And when you have too much to do, it’s hard to feel productive. If you can’t do everything, you need to put your time and energy into what will yield the more important results. Laura Stack shows how to hone in on the high-value tasks, protect the time to do them, focus on their execution, and organize your life around the stuff that really matters. Her innovative, step-by-step Productivity Workflow Formula (PWF) allows you to spend less time and achieve greater results than you ever thought possible. We can no longer do more with less—we can’t put in more hours or work harder than we are now—we have to work differently and do less to achieve more. To be successful in the business world and reach your full potential in life, it’s not enough to be simply competent. Our modern, super-competitive world is full of opportunities for the go-getter, but to take advantage of them, it’s essential to become SuperCompetent.” The SuperCompetent person is one that companies fight to get, fight to keep, nurture as team players, and see as future leaders in their business growth. But SuperCompetence isn’t something you’re born with—it’s something that you can learn, no matter where your strengths lie or what industry you work in. In SuperCompetent, productivity expert Laura Stack identifies the behaviors that build leadership skills, boost organizational efficiency, and blast high-potential producers to the top of their fields. With Stack’s Six Keys, you’ll be able to consistently improve your performance, develop the confidence that will propel you forward, and achieve breakthrough results in your career. With worksheets and quizzes that help you evaluate your performance at every stage and invaluable resources for further information, you’ll be able to integrate the Six Keys of SuperCompetence into your daily, weekly, and lifetime business practices. 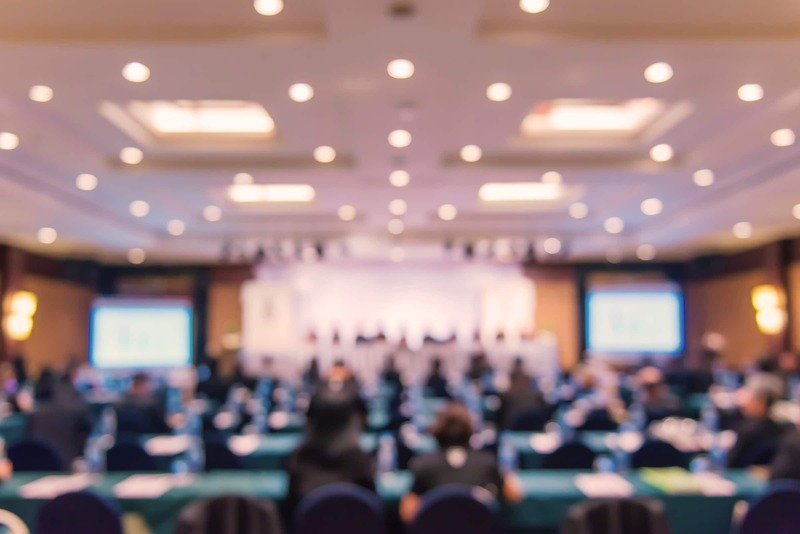 From the sales floor to the conference room, from board meetings to informal networking events, SuperCompetent enables you to build your focus, manage your resources, and maximize your ability to deliver at every level. If you’re like millions of Americans, you get home from a long day with barely enough energy to lift the remote control. But with Laura Stack’s comprehensive plan, you can regain your vitality in just three weeks. Let The Productivity Pro help you eliminate the “energy bandits” from all aspects of your life from your diet and your work schedule to your environment and your relationships so you can start living in a way that will boost your energy.